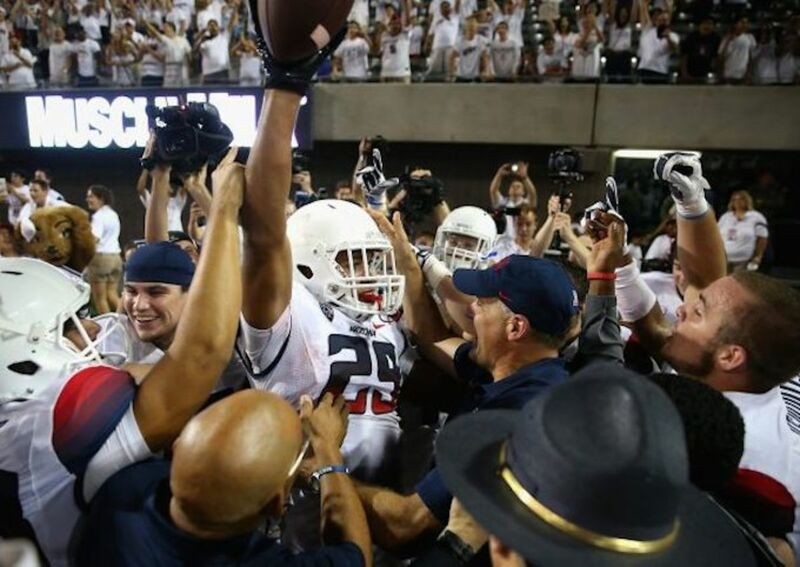 In case you missed it, Arizona had without a doubt the most dramatic win of the weekend (west of Tallahassee, at least), rallying from a 31-13 fourth-quarter deficit to defeat California on a 47-yard heave from Anu Solomon to Austin Hill. Final score: Arizona 49, California 45. They’re calling it the “Hill Mary” in Tucson. The scene inside the locker room was about what you’d expect, but by far my favorite part of this video is Wilbur Wildcat on a knee hanging on Rich Rod’s every word.